I love sangria! It’s a drink that mixes my favorite things: good wine and sweet fruits. It’s a great drink for any time of the year that’s refreshing and easy to make. I have a couple of sangria recipes that I think you will absolutely love. I’ll list them out below. Let me know what you think in the comments section. 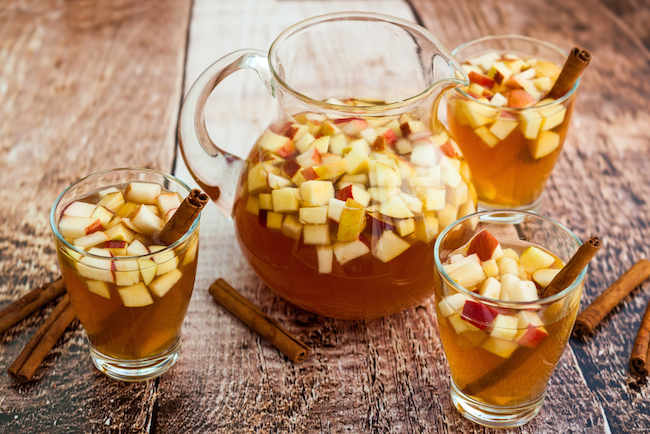 Three Ingredient Sangria- Here’s what you need: White Sangria, ginger ale, and some apple slices. So easy! Add some ice and your drink is complete. Raspberry Sangria- Crush some raspberries, add them to your favorite red wine with some club soda and orange liqueur. Mint Sangria- Pick up some mint, lemon and lime. Slice your lime and lemon super thin and add the mint to some white wine. Yum! Iced Tea- Add iced tea to white wine. Pour in honey and your favorite fresh fruit for a delicious and super easy sangria recipe. Moscato Sangria- Grab a bottle of moscato and triple sec. Add your favorite berries and citrus. You can use rosé in place of the moscato. Spanish Sangria- For this recipe, you’ll need red wine, orange juice, pineapple, pear and a sliced orange. Add all the ingredients together and use the sliced orange as a garnish.